A subtle touch of honey to sweet your look! 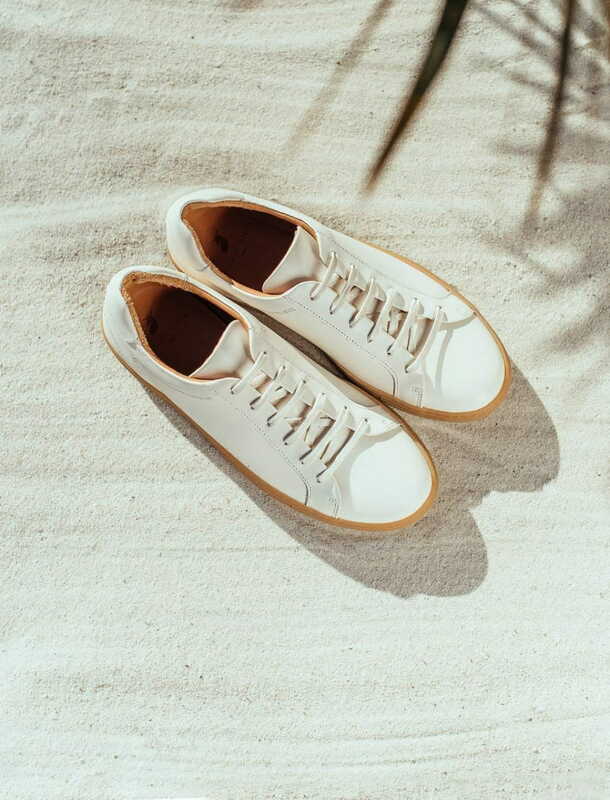 We advice you to protect your sneakers from humidity with our waterproofing spray. It will ensure a longer time life. Do not hesitate to gently apply our Pied de Biche "Crème de soin" with a soft cloth, before using our buffer brush. Strobel assembly consists in directly sewn upper and stem-sole when stitching, giving our shoes both robustness and high suppleness. Thanks to that, the upper perfectly follows your moves. 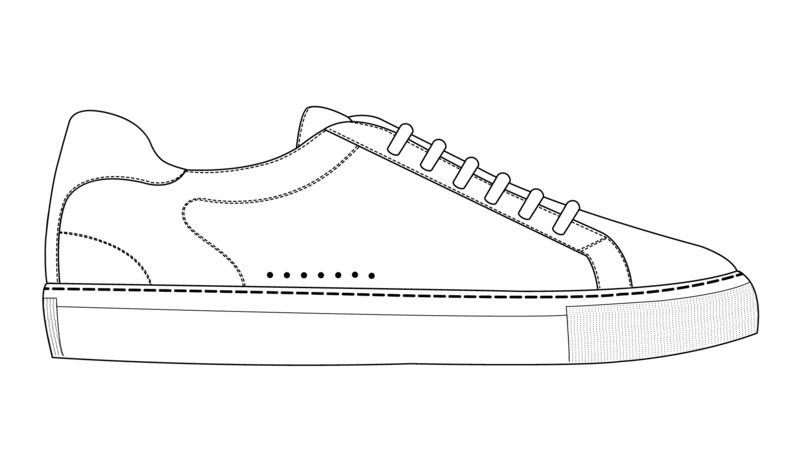 Besides, sole is stick and side-sewned to the upper. Here you have both robust and supple sneakers! 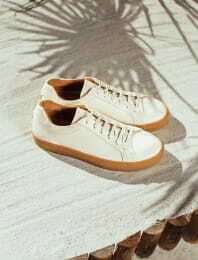 We choose rubber soles for our sneakers. Made with natural material, rubber is robust and adhere every surface. Our team selected top-range hide, used by established luxury craftsmen. It gives our shoes suppleness and resistance. 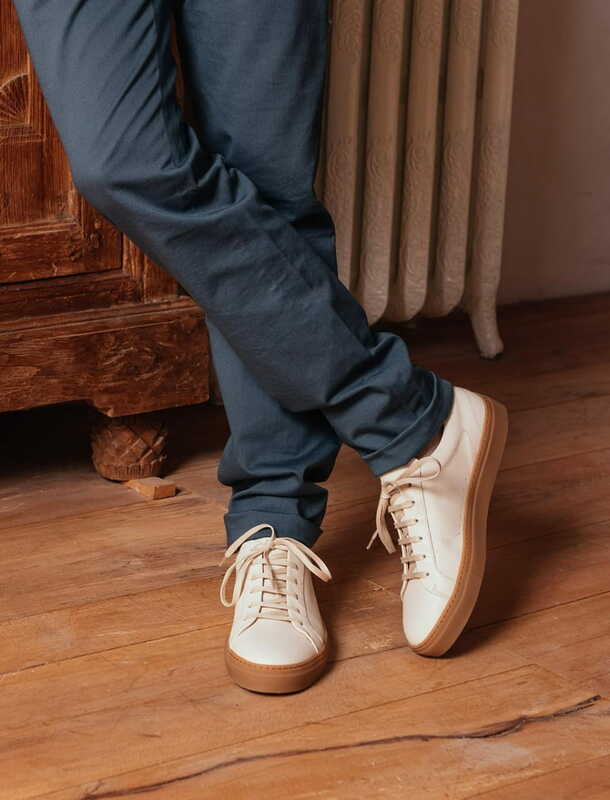 Following Pied de Biche items' DNA, our sneakers can be easily recognized by their contrasting back upper. 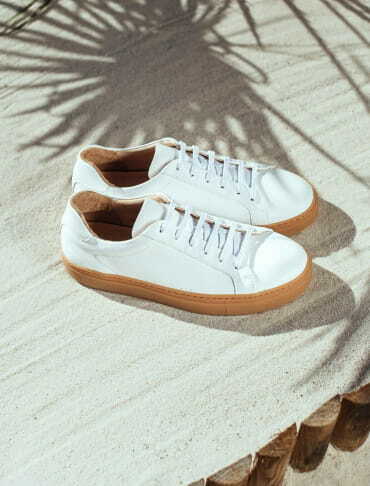 We choose a subtle blue, to give our sneakers a discrete but fanciful touch. 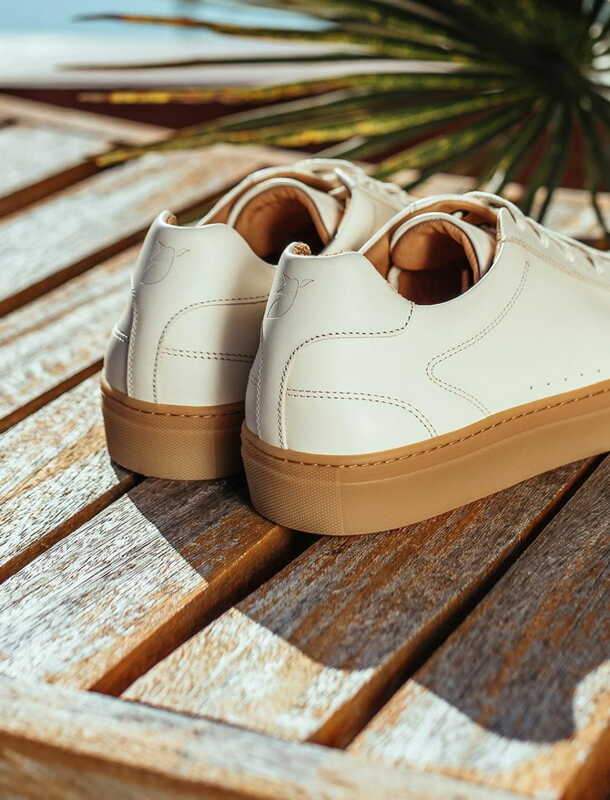 With its hot-stamped Biche logo, this pair is about to become your new daily basic ! Insole can be removed to facilitate cleaning. 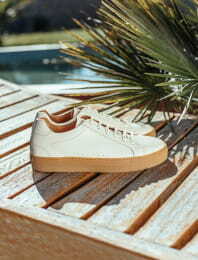 Sneakers had long been banned from offices, and kept for recreation; this time is over, they became a must-have! Both comfortable and elegant, our sneakers are made to be your new daily basis. 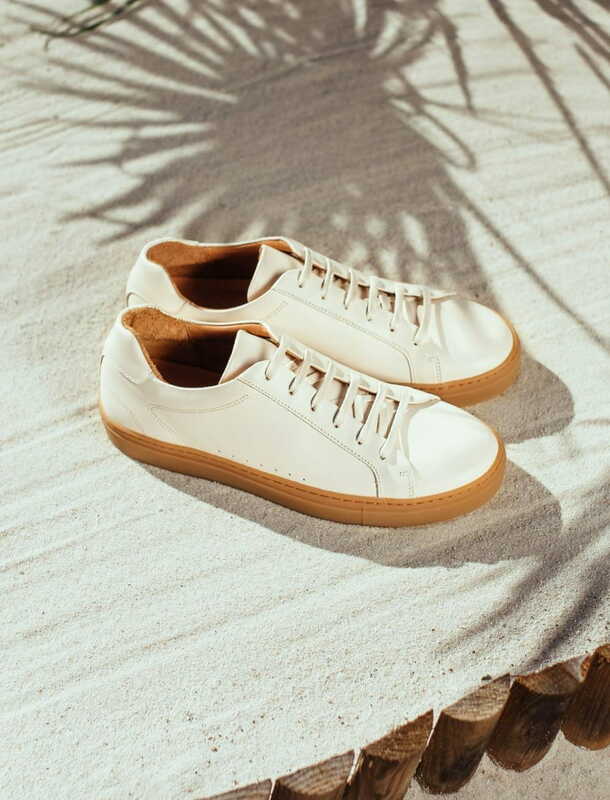 We worked to get perfectly sleek sneakers, with full calf leather upper. They will be a great companion in every situation! No misstep with our sneakers! With a suit? You will assert your style. Wearing jeans ? They will give you the elegant but relaxed touch you just needed!